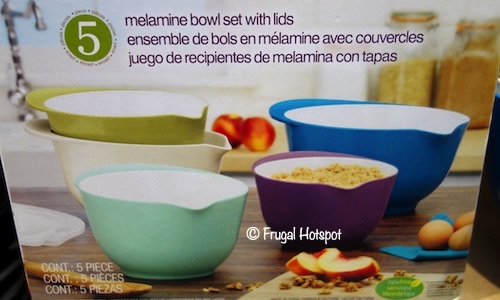 These 100% heavy-weight melamine mixing bowls nest for easy storage. 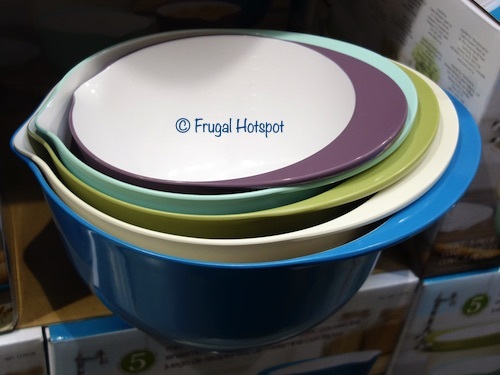 Besides mixing, you can also use these bowls for serving or storing. 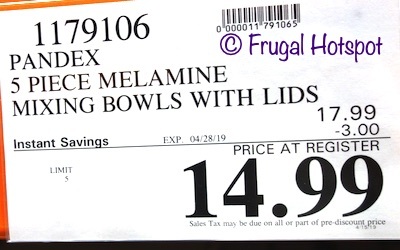 Select Costco locations have the Pandex 5-Piece Melamine Mixing Bowls with Lids on sale for $14.99 (after instant savings), now through April 28, 2019. That is $3 off Costco’s regular price of $17.99. While supplies last. Item #1179106. 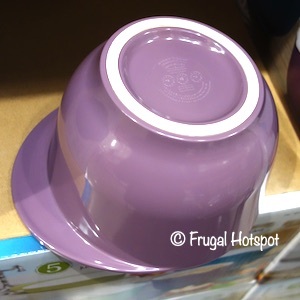 Dishwasher safe (lids are top rack only). Although the flash from the camera hides it, the interior does have measurement markings. 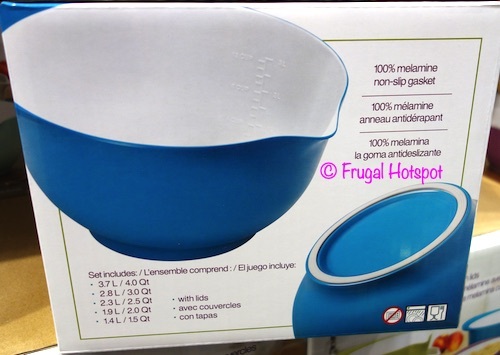 Each mixing bowl has a non-slip gasket on the base. NOT for use in microwaves or the oven.